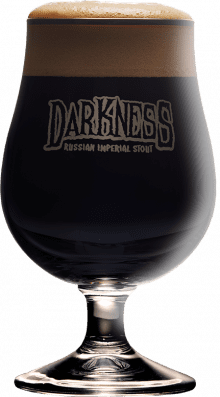 Darkness 2006 - Surly Brewing Co. Darkness 2006 - Surly Brewing Co.
Our massive Russian Imperial Stout contains waves of chocolate, coffee, cherry, raisin, and toffee, plus a non-traditional dose of aromatic hops. This was the first year of Darkness. It was sold only as growlers. Locate Darkness 2006 and other Surly beers at a store near you.